Keir Whitaker on workshops | 12 Devs is back! Over the last couple of years I have started to deliver regular small group workshops myself, each with a defined scope and purpose. Most recently these have revolved around the ecommerce platform Shopify and my Shopify for Designers series. It’s a great opportunity to meet like minded people who you may not already know. Often conferences can be overwhelming in terms of numbers whereas it’s easier to engage with new people over an informal lunch of 15. Everyone can join in, in fact I encourage people to interrupt, disagree and share their own experiences. For a full day workshop you’ll likely prepare more than you ever need. Doing so can however be quite stressful as you’ll be conscious of getting through it all and may rush as a result. Break the day up into manageable chunks, 6 is a good number. Work on filling each one with 40-45 minutes of content. Throw in Q+A, breaks and lunch and you’ll have a full day with around 4.5 hours of content to present. Ensure you have a link to share with the attendees containing all the demos and slides from your day. Pick a nice easy to get to location. Hosting a workshop isn’t cheap but there are some amazing venues you can use for relatively little cost. I have used a number of amazing venues that are a bit different, far from traditional and often inspiring. These range in cost from £300 for the day including projector upwards. Know your numbers and make it financially viable. You can’t know everything. If you don’t know something be honest and say so. If pushed offer to read up on it and feedback via email after the workshop. Test your market. Perhaps do a short presentation on the topic at a local meetup and announce your upcoming workshop and gauge reaction. Whilst we all think we know what people want the market often tells us something different. Solicit feedback. It’s fair to say that if you ask people for feedback you’ll get a mixed bag of responses but it’s always good to know. Ask specific venues, i.e. value for money, thoughts on the venue, was the pitch on the web site accurate to the content delivered. Finally enjoy the day. Be sure to pick a local bar to visit afterwards with the attendees and relax. Thinking, talking, demoing is tiring so don’t plan on doing too much the day after. That is apart from sending a thank you message with a link to your feedback form. 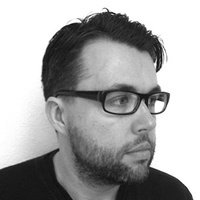 Keir Whitaker has been developing web sites for over 14 years. He works with Shopify in the role of Design Advocate and is also one half of Viewport Industries - a company focused on producing products and services for creative professionals. He is co-host of The Back to Front Show podcast and publishes his Weekly Miscellany newsletter every Friday.